grandma's cookie jar: crafting with grandma - Crocheted Minions and Perry the Platypus! crafting with grandma - Crocheted Minions and Perry the Platypus! 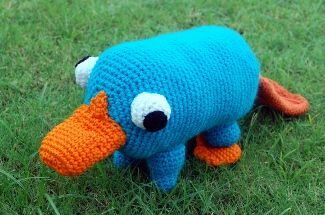 Last year for Easter I made my grandsons stuffed Perry the Platypus toys - I hid them in the house so after they went on an egg hunt in the yard, they were able to come in and look for another special surprise! Since then they have been sleeping with their Perrys - they look soft, and well-loved and since they were made with love, I'm really happy the boys are enjoying their Perrys! So, this year I'm making Minions for them! I'm making regular, yellow Minions for them for Easter and will make crazy, purple Minions for them for Children's Day (the second Sunday in June). 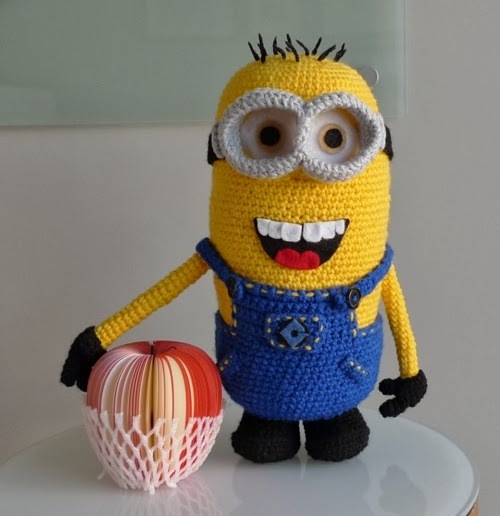 I thought in case any of you might like to make a Minion (or a Perry) for a child you love, I'd share the links to the patterns so you can get busy crocheting and finish them before Easter! You'll find the link for the Minion pattern here and the Perry pattern here. So, what do you think? Will you make any Minions or Perrys for the children you love?